OLD PARKED CARS. : 1983 Imperial. True class never goes out of style. The people who designed that car should be punished. 20 to life for crimes against esthetics. It is the kind of design I would have loved at age 12. Same sort of response I have to even more extreme cars. The hood that slopes down the the hidden headlights. It is something Dean Martin would have driven in one of his vanity movies. Like a 67 Eldorado -- pure pimpmobile -- that I would never drive, but love to see and know exists. Speaking of Dean Martin, here is ol' Blue Eyes driving the first Imperial off of the assembly line. I remember when this Imperial came out. It was a little exciting to see an all new Imperial. It seemed like a nice car and a real competitor. To be honest with you I wouldn't even mind buying one these days.I always liked it. 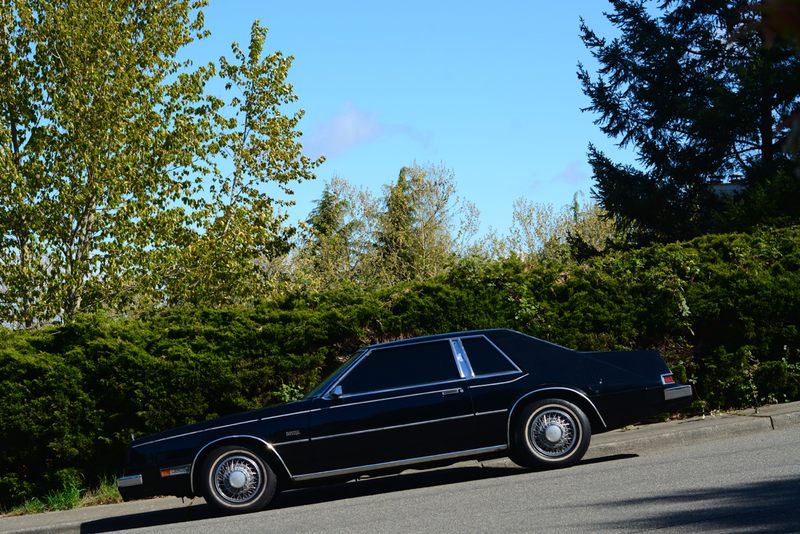 I realize it's an 80's car and my personal favorites are the pillarless hardtops which are 70's & before. I know with the above photograph this page is supposed to be concentrating on the Imperial but I want to indicate this era of cars 1980-83. It's kind of like the top 40 music of that time. It's a lost era.
. 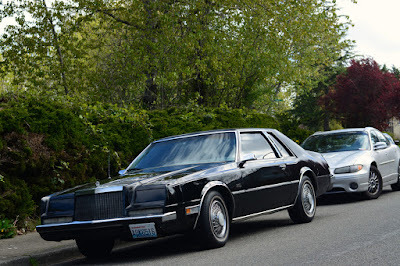 Still speaking of this car and a few others from that era 1980-83 Dodge Mirada/Chrysler Cordoba-(actually the Imperial from what I know is based off these two cars) . 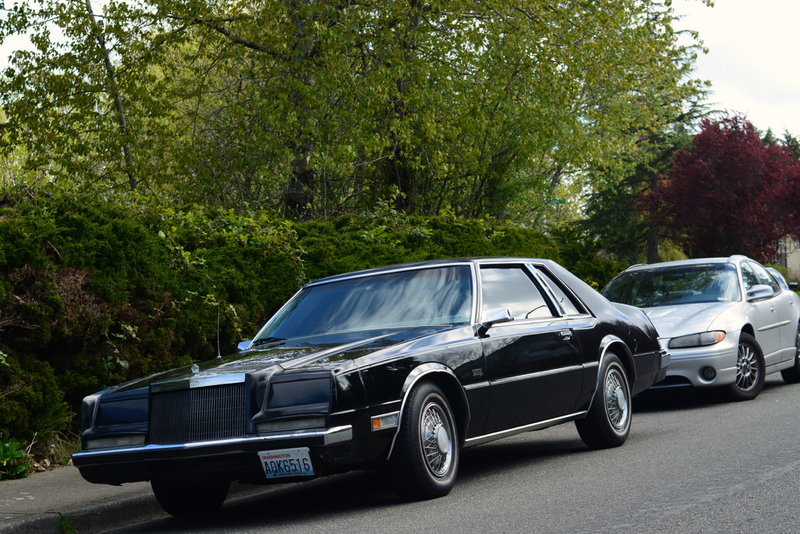 Other cars from this era 1979-85 Cadillac Eldorado-Oldsmobile Toronado-Buick Riviera. 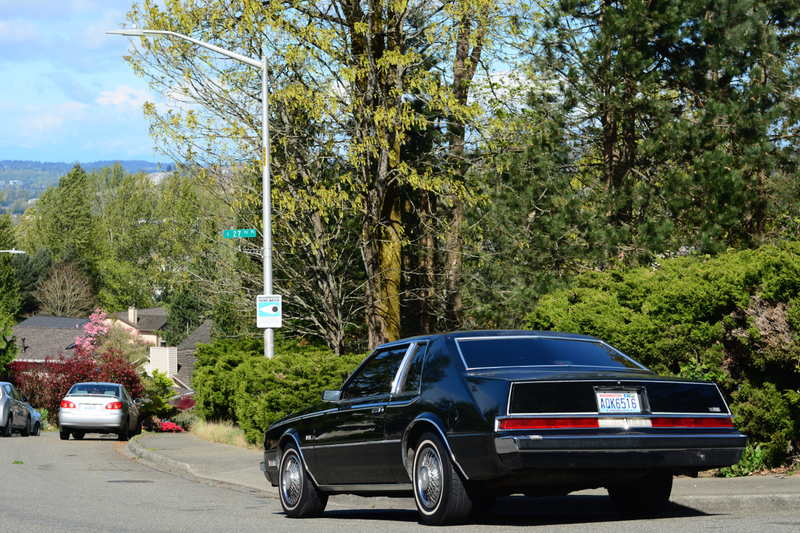 1980-82 Ford Thunderbird-Mercury Cougar. 1980-83 Lincoln Mark VI all for some reason have this thing about them that I like. It's a darn shame that the American government didn't allow these models to be pillarless hardtops. With the exception of the General Motors models(Buick Oldsmobile Cadillac) none of the above cars that I mentioned were big sellers. On top of that they're probably extremely hard-to-find these days. I have to admit, this looks pretty sharp in that shade of black with tinted windows. So glad this is here... thank you so much Ben and Tony for featuring more "controversial" classics as much as widely acclaimed ones: ignoring common places about which cars should be remembered is definitely a huge strength of oldparkedcars. I've always liked these cars. I know it's really a gussied up Cordoba, but hey Chrysler was emerging from bankrupsy and had to cut corners to save a buck! I almost bought one of these in the early 90's but got a lesser Buick Regal instead. Mopar's bad rep at the time scared me. this is still better looking than the 70's 80's gm ford garbage. Like it....Add a 4bbl,remove the lean burn add 3.23 gears,duel exhaust and it s a good performer and 26 mpg car..I know,my co-worker had one like it..